As cell phone and iPod use in the car becomes more and more prevalent, there is heightened concern over distracted drivers causing accidents. What can you do, though? I want to listen to your iPod, but you don’t want to divide your attention between the road and the screen on your iPod. Quokka Studios has come out with an app called FluxTunes to help with this very problem. Before I tell you about this app, I must urge you to read the Safety tab in the app. It serves as a great reminder that safety and paying attention to the road are first and foremost, and that the laws of the road should always be observed. 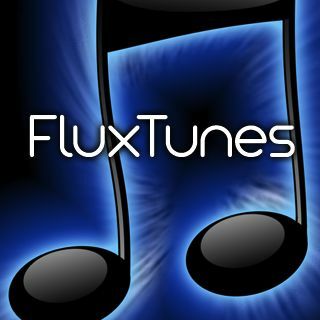 FluxTunes allows you to quickly and easily control the music on your iPod or iPhone without having to look at the screen or search for buttons. There are a few simple finger strokes that can be used to control the music. There following commands are just examples of what you can do. A swipe of a single finger right or left moves you to the next or previous track. Moving one finger up or down on the screen adjusts the volume. The settings for the app can be adjusted in the Settings App on your device. It allows you to change things like the time that the app waits before dimming the screen, whether or not to include podcasts in your playlists, or how you would like the music shuffled. The only problem that I encountered with the app is that the app was not a responsive as I would have liked. It didn’t always respond to the motion of my finger on the screen. Overall, FluxTunes is a great idea and can fill a need for iPod and iPhone users. Whether you are out jogging or driving a car, it is often hard or even dangerous to try to look at your iPod to adjust the music.